There is no doubt that the photos app you have on your Mac, iPad, and iPhone is both fast and convenient for you to view. 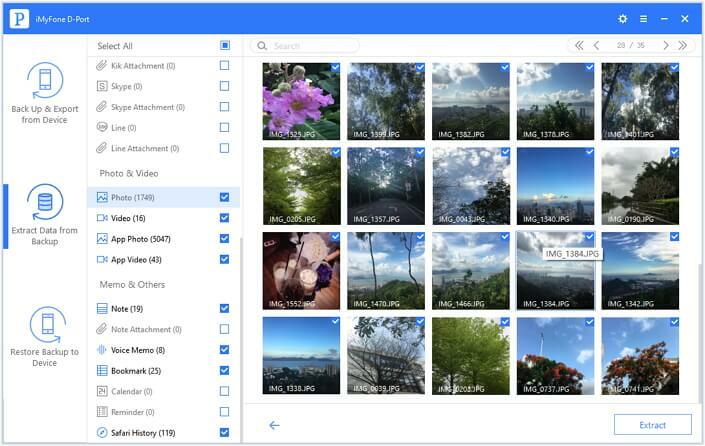 It allows you to manage and view your images with ease. However, considering a situation that you don’t have any of your devices at hand. Does this mean that you cannot view and show your friends and colleagues your photos? The answer is no. 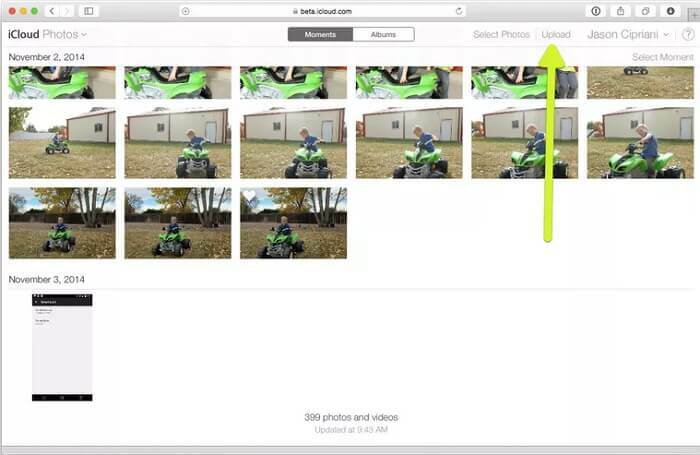 iCloud Photo Library allows you to view all your photos online. You will be able to view these straightly from any computer’s web browser. 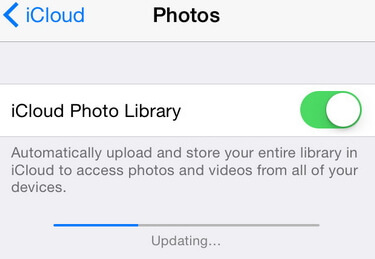 Other than this, are there other tips on how to view iCloud photos online? Here we will guide you on how to view iCloud photos online. Step 1: Go to Settings. Tap iCloud and then Photos. Step 2: Finally, toggle on iCloud Photo Library. This will save all the photos on your device automatically to iCloud Photo Library. You have to be connected to Wi-Fi for this to work. Step 1: Use a web browser and visit iCloud.com. Use your Apple ID to sign in. Step 2: Click the “Photos” icon and then select the photo you wish to download. Step 3: You will see a download icon in the top-right corner of the web browser once the picture is loaded. Click on the icon to download your photo. Repeat for all the other photos. Step 1: Visit your device Settings. Tap iCloud. Step 2: Tap on Photo and then toggle on My Photo Stream. 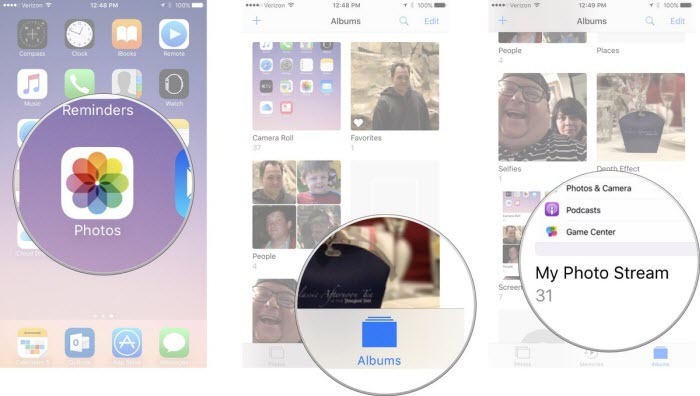 If your Device runs on iOS 8 and above, tap on Photos -> Albums -> My Photo Stream. For devices running iOS 7 and below, tap on Photo Stream and then My Photo Stream. Visit Photos -> select Albums -> then My Photo Stream. 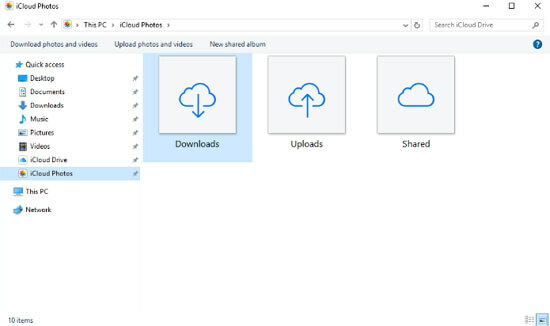 iCloud for Windows will create a Photos folder in your File Explorer named iCloud Photos. All you have to do is turn on Photos. My Photo Stream will download all the new photos you take using your iOS to the Downloads folder. 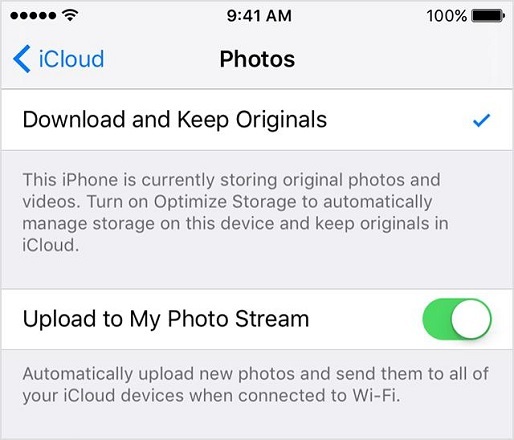 Although both iCloud Photo Library and My Photo Stream will offer you the ability to view your photos, they have some differences. 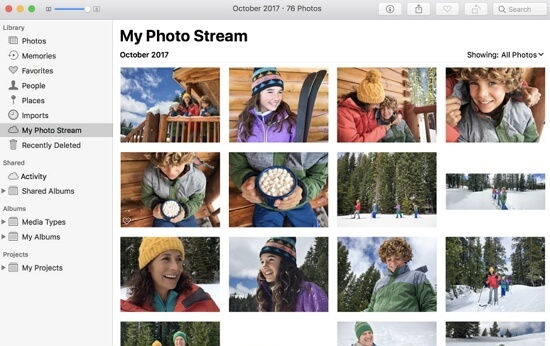 iCloud Photo Library will allow you to view your photos on all Apple devices and on the web while you won’t have the ability to view My Photo Stream photos online and on Apple Watch. While iCloud Photo Library supports all media file types, My Photo Stream only supports JPEG, TIFF, and PNG. iCloud Photo Library uses your iCloud Storage while My Photo Stream doesn’t. You can only store last 30 days photos up to a total of 1000 photos using My Photo Stream while you can upload as many photos as you want on iCloud Photo Library as long as you have space. Step 1: Connect the device to Wi-Fi. Step 2: Visit Settings, select [your name], and then tap iCloud. For iOS 10.2 and earlier, visit Settings, locate iCloud and tap on it. Step 3: Tap on iCloud Backup. For iOS 10.2 and earlier, tap on Backup. Ensure that your iCloud Backup is on. Step 4: Click Back Up Now and stay connected to Wi-Fi for the back up to complete. You can export 18+ data types selectively from all your iOS devices. 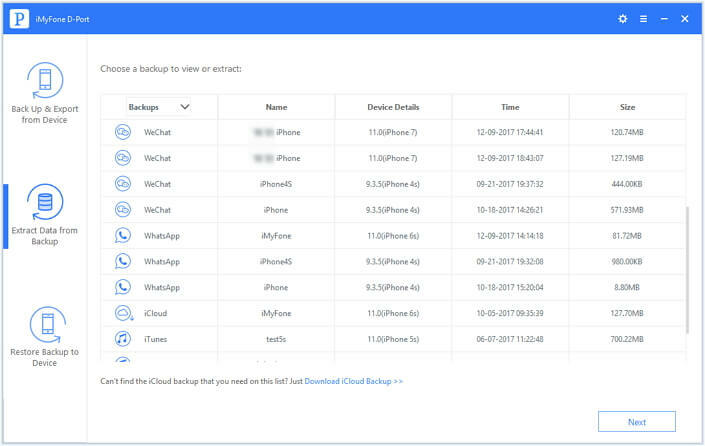 You can back up just your messages/WhatsApp/WeChat or your whole iOS device data. 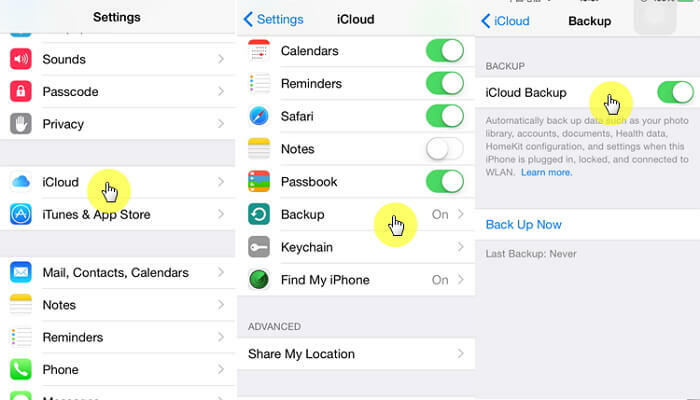 You can access your iCloud and iTunes data without an iOS device. Step 1: On the left panel, choose Extract Data from Backup after running iMyFone D-Port on your Mac or PC. Your backups will be detected and displayed. You can click on Download iCloud Backup if the needed back up is not shown. Step 2: Login into your iCloud account. The backup files will be shown. Choose the needed backup and click next. Step 3: Select data to export. In this case, choose photos and the back up will be downloaded. Step 4: After downloading, click on Extract to export the photos to your computer. Step 1: Visit Settings and Select [Your Name]. Step 3: Toggle on iCloud Drive. 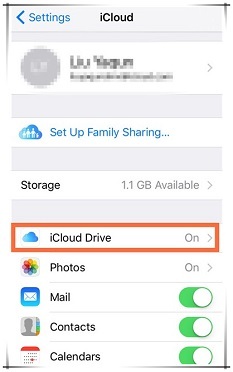 To view the files and photosin your iOS device, you have to use an application that uses iCloud Drive. You will have to open its file chooser and access the pictures and files. 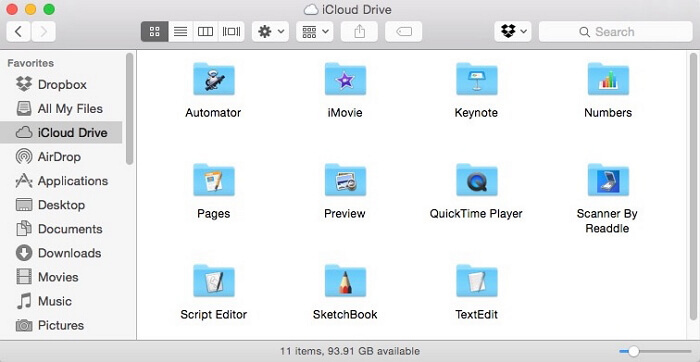 You will find iCloud Drive in your Mac Finder’s Sidebar. 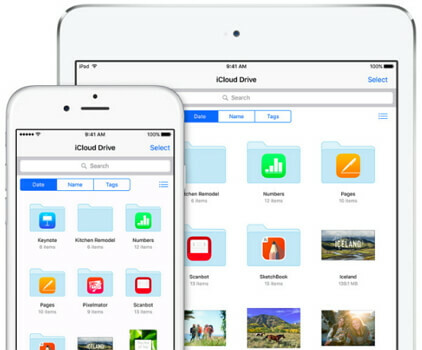 Click iCloud Drive and you should be able to see all your photos and documents. You will need to install iCloud for Windows. 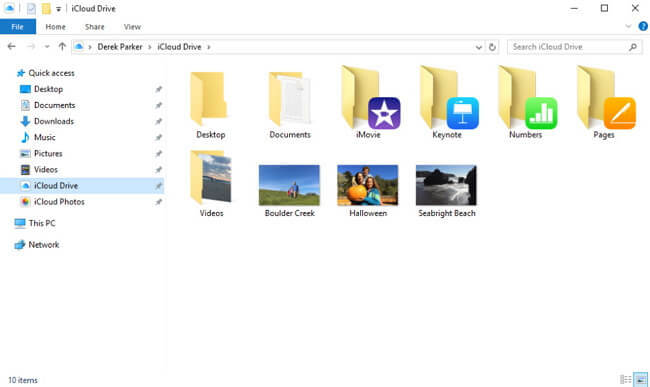 After the installation, you should see iCloud Drive as an option in your File Explorer. Click the iCloud Drive to access the photos and other files. iCloud.com allows you to do more with your photos than view your photos online as well as other things. It also allows you to share the photos with family and friends. You can email the photos or even share them on social media networks such as Facebook. You also get to add new photos to iCloud.com online. 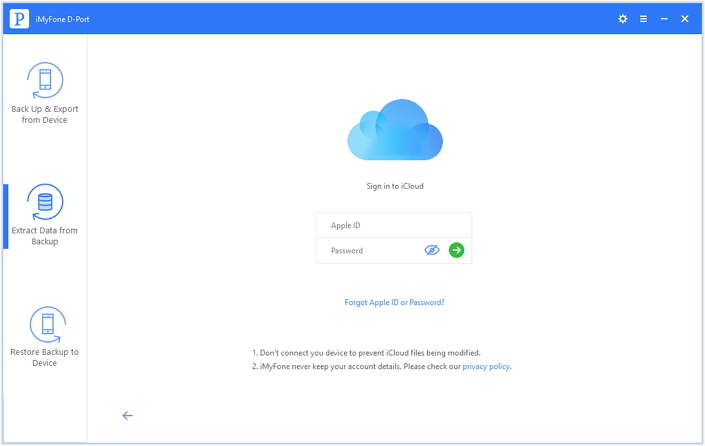 If you are having trouble trying to figure out how to view photos on iCloud online, the tips in this article should help you. 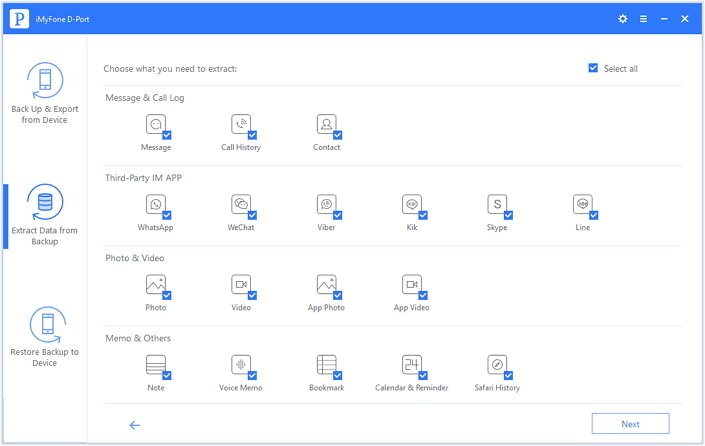 When it comes to iMyFone D-Port, it is a great tool that offers a lot of features to users. You will get a chance to use iMyFone D-Port trial version to see what it has to offer. Please feel free to leave your comments below.